We provide advanced spinal correction utilizing “state of the art” chiropractic techniques. Never in the history of chiropractic have we been able to provide the level of help and expertise that now exists. These newer correction methods are even safer, more comfortable and more effective than ever before. 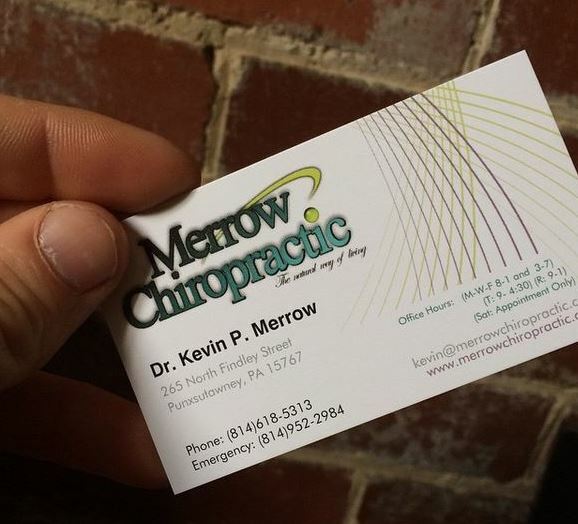 As a Doctor of Chiropractic, Dr. Kevin Merrow has the training and experience in spinal adjustment. We provide specific recommendations on nutritional supplements and healthy food choices to enhance our patient´s return to optimal health. Do you know which supplements and vitamins are good for you? Do you know how these supplements and vitamins interact with one another? Dr. Kevin Merrow can provide a structured nutritional program based on your individual needs.